We have both been concentrating on getting to a stage where we are ready to begin making the crane as we have figured out everything that is needed. The coding for our circuit has all of the preliminary code written ready for us to develop as we begin to build the crane. For the circuit we were previously thinking of buying the H bridge components for the circuit, Instead we decided to use a set of transistors to create our own, we sorted the transistors after we found a few of the components we needed in order to begin building the circuit at llandaff. Over the weekend we are going to be building the circuit as well. On the other side of the crane Project I started to begin designing the crane plates for the main structure and looking at all the cross beam to maintain that the crane won’t fall over or have too much pressure put on it when lifting the matchboxes. The plates will need to have the cross beams in order to hold the motors for the pulley system in the centre of the triangle for the crane plate. This is the technical drawing for the design of the crane with all the placements of the motors and where all the mechanisms are. 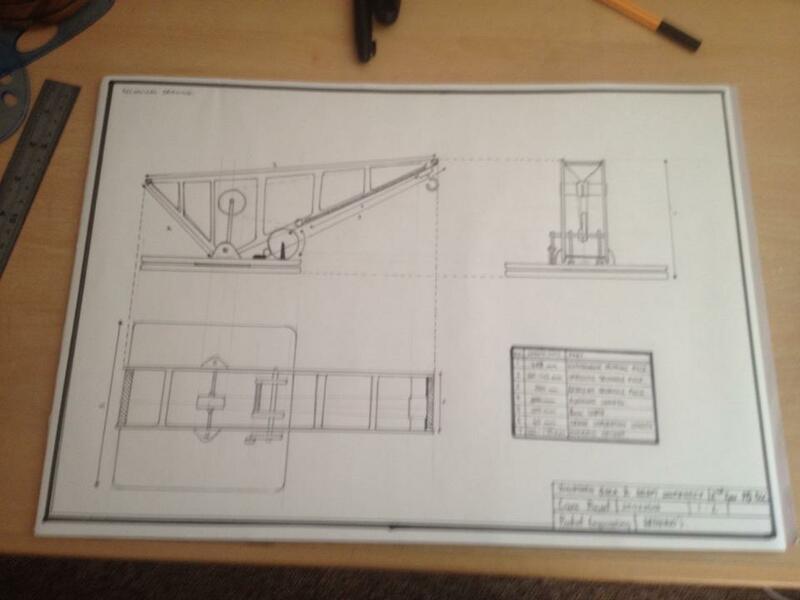 The main thing I focused on when making this drawing was the scale and measurements of the beams ready for when I put it on Corel draw to print on the laser cutter. We will probably use plywood because it gives a nice finish and is easier to use for when we need to adjust areas for the mechanisms. The only thing that will change form this technical drawing will be the lines on the faceplate, I’m gonna create a cross hatch effect to strengthen the plates but still allow you to be able to see the mechanism inside. 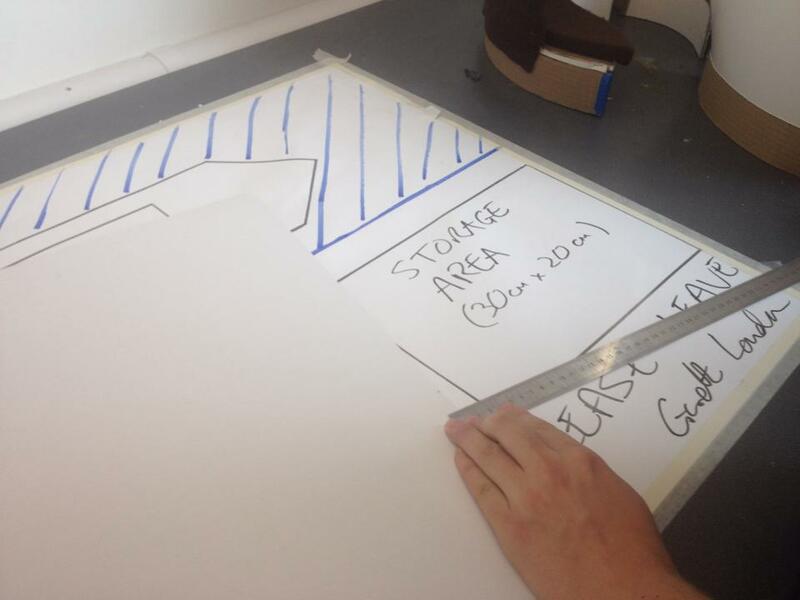 This was also the measurements we made to make our own scale map of the loading area that Gareth Loudon showed us.